This month marks the 67th anniversary of the liberation of the Auschwitz- Birkenau concentration camp in Poland, and 27th January has been designated the ‘Holocaust Memorial Day’ to remember those who died at the hands of Nazism. Thousands of commemorative events will be held across the UK, organised by schools, faith groups and community organisers. 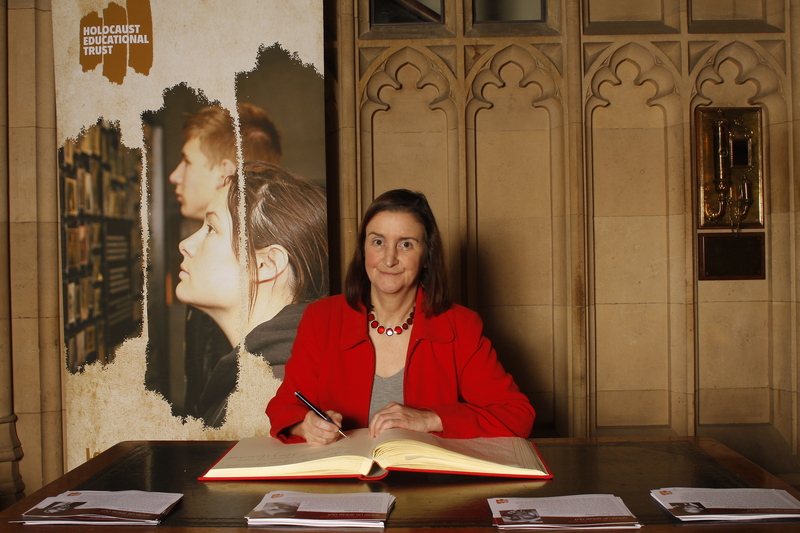 This week I signed the Book of Commitment in the House of Commons, in remembrance of the six million people killed during the Holocaust and to pledge my support for the Holocaust Memorial Day. I am pleased that two Llanelli teenagers will be visiting Poland as part of the Holocaust Educational Trust ‘s “Lessons from Auschwitz Project” to visit the concentration camps and learn more about the Holocaust. This year, the Trust has chosen “Speak Up, Speak Out” as the theme for Holocaust commemoration, drawing an important link between history and the present day. As we remember Dachau and Auschwitz, we also remember those people suffering from persecution in today’s world. Hatred takes many forms and affects many people across the world: we must loudly reject intolerance, and honour those lost in the Holocaust in the best possible way: by never allowing it to happen again.